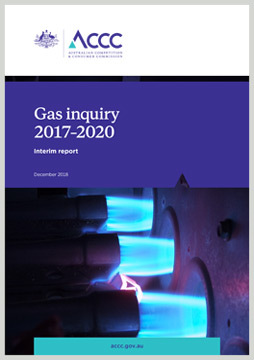 This is the fifth interim report of the Australian Competition and Consumer Commission’s (ACCC) inquiry into gas supply arrangements in Australia. The ACCC has continued its focus on the operation of the East Coast Gas Market, where there are immediate and longer-term concerns. High-quality A3 versions of Figures 4.1 and 5.1 from the report are available for download via the links below.